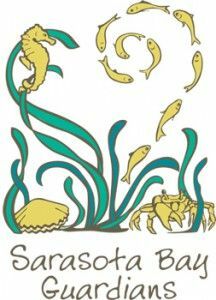 SARASOTA COUNTY – The Sarasota Bay Estuary Program (SBEP) celebrated Earth Day by hosting a Bay Guardian volunteer event at Philippi Estate Park on Saturday, April 18. More than 70 volunteers of all ages removed the air potato, an invasive vine that covers and shades beneficial native plants. The vine grows a large tuber that looks like a hanging potato. Participating groups included students from high schools throughout Sarasota County from the Community Youth Development Program. Other volunteers included Brookside Middle School students, a girl scout troop, JDubbs Brewery’s Street Team and other local residents. The group collected 2,462 pounds of air potato and prizes were given for the smallest, biggest, weirdest-looking, and most air potatoes collected. The air potato is an invasive vine that covers and shades beneficial native plants. The vine grows a large tuber that looks like a hanging potato. Volunteers enjoyed a picnic lunch following the project. Please contact Sara Kane to learn more about the project or to get involved as a Bay Guardian volunteer.